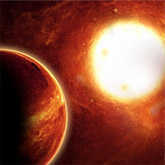 The April 15 bombing at the Boston Marathon came as the Sun was approaching an exact conjunction with combative Mars. Although their union was precise on April 17, it was well within standard astrological allowance to count. Many of my colleagues noted this significant alignment that corresponded all too well with the violence of the event. The overwhelming responses of the police and military forces also reflected the symbolism of this martial planetary event. You can find out more about how Mars affects you personally with a Mars Power report, but in this case we can look to Aries for an explanation. The Sun and Mars join together every two years, but the volatility of this meeting was heightened by its presence in Aries, Mars' fiery home sign. The combative nature of both sign and planet are basic elements of any astrologer's lexicon, and violence was not unexpected. Prediction is not always prevention, however, because specific details weren't in anyone's forecast. Neither the Boston bombing, the West, Texas fertilizer plant explosion or the Chinese earthquake were pinpointed. 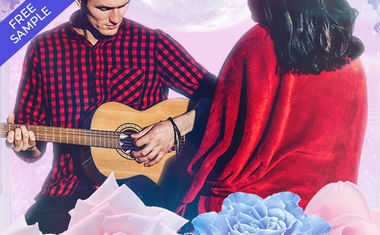 We can benefit from "post-diction," though, which helps us learn something useful by studying the astrological symbolism after important events. One thing we have learned is that violence cannot necessarily stop violence. If every person at the marathon finish line was carrying a gun, the bombs would still have exploded and the perpetrators would have left the scene. Mars' cowboy mentality does come in handy when brave men and women are directly faced with armed adversaries, yet even this idea is limited when we watch military and law enforcement rely on group coordination rather than individual initiative. Another mistaken Martian notion is that when we kill enough of our enemies the fight will end. This does work in some conflicts, but the daily TV news reports of enemy body counts during the Vietnam War did not add up to victory. The same is true in Afghanistan, where we are reminded that the will to kill may not be stronger than the enemy's willingness to die. The inter-connected forces of the modern world make it hard to hurt adversaries without hurting ourselves. Those who view China as an enemy of the West, for example, would be hard pressed to find affordable hard goods if their industries failed as our financial collapse would destroy their economy. The vast majority of us are not making national economic policy or setting military strategy, yet we do encounter conflict every day of our lives, which is where Mars comes in. This planet represents the muscles that enable us to act. It is the first step, the immediate reaction, the fight or flight instinct, which was less dangerous during the vast majority of human history when we did not have fire arms or internal combustion machines. 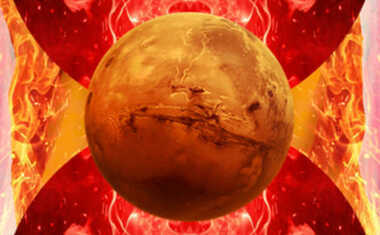 Mars represents the separative, combative reactions that divide the world into enemies and allies. This basic stance reflects primal, amygdala-based responses unrestrained by neo-cortex reasoning. Fear can trigger it in an instant. The lesson for modern humans is to tame these instincts, not to eliminate them, but to develop the intelligence to apply them carefully and appropriately. It is said that depression is anger turned inward. We might say, then, that anger is depression turned outward. It's common to blame unconscious impulses on external events when they originate within ourselves. The true Martian warrior is responsible for his or her behavior and doesn't blame it on others. And our sharpest weapon is a clear mind that keeps awakening us to ourselves.